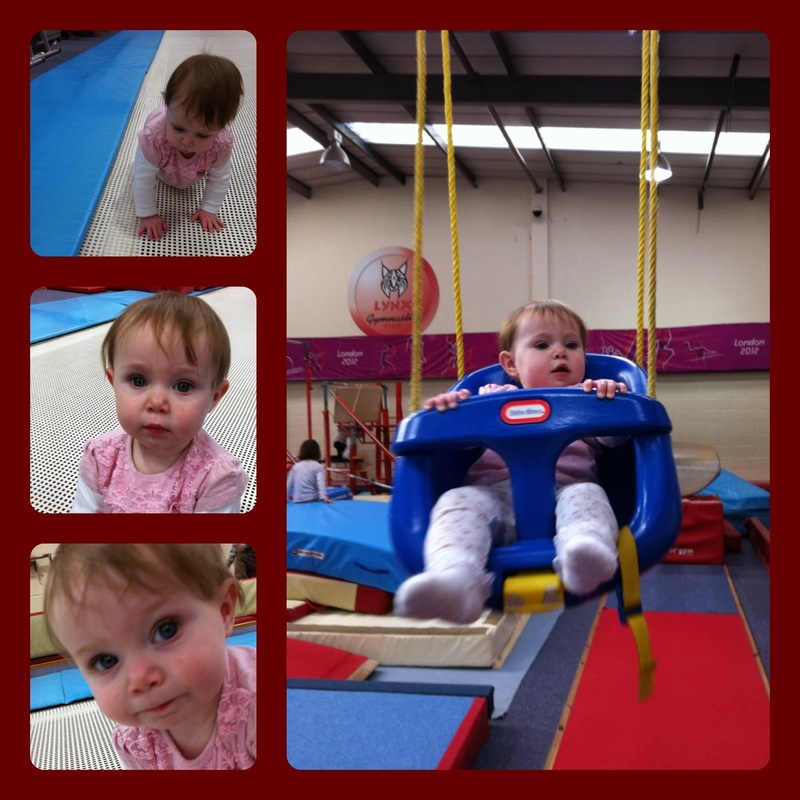 Met up with some of my Mummy friends today to try Lynx Gymnastics Centre in Aylesbury. They offer a playgym for the under 5s most days of the week. Little did I know that there was this little gem just a couple of minutes around the corner from where we live! Brilliant! As I was running a bit late due to a last-minute nappy change incident, I did drive to the Gym on this occasion, but there really isn't any excuse for not walking (and therefore saving money on petrol) as it's so close. The gym is fitted with lots of soft play equipment as well as a swing, trampolines, an inflatable slide and more. Great for little ones to burn off some energy. Even for Baby A and her friends that are all bar one classed as crawlers, there was enough for them to try out. Baby A certainly kept me busy as she wanted me to support her hands as she walked around the large hall! Normally she loves being bounced around but she really wasn't very sure of the trampoline at first. It was definitely a different sensation for her. It took us going back to it a couple of times and then she gained her confidence on the springy surface and started crawling around on it. Her favourite was definitely the swing which is suspended quite high up in the room. I made sure she had a few goes on this! There were even a few action songs played in the middle of the session which I wasn't expecting, but provided a nice chance to sit down with Baby A for a few minutes before we were off again for another circuit of the Gym! Lots of places are very 'Mum' orientated but this environment really suits both Mums and Dads, so I think this will be a great place for my partner to take Baby A on the days he's going to look after her when I start working. It's also good that you don't need to book in advance, they're just drop-in sessions so it can be a last-minute decision to take Baby A there, no pre-planning needed! It's location means we'll definitely be visiting the Gym again soon and definitely before Baby A starts walking independently as it's £2 cheaper whilst she's still a crawler! !